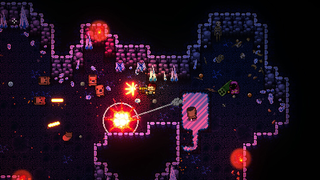 Enter the Gungeon just got a new patch for the Switch version to address a number of bugs. Enter the Gungeon just got a new patch for the Switch version to address a number of bugs. While it plays great on the handheld overall, crashing at random points has been an issue. Hopefully no more. A hotfix for a few smaller glitches is also on the way.